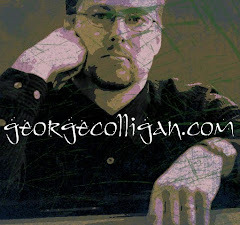 Greg has been using virtuoso Sean Conly on Bass and the remarkable Jameo Brown on drums for all those years, so they know exactly how to play Greg's music. It took me a minute to get into the groove, but once I did, it felt like we had all been on the road together for 10 years straight! We even threw in one of my tunes called "Nebulosity", which we had recorded 10 years prior on a CD called "Abundance". Even without a rehearsal or sheet music, it sizzled. The night also featured special guest alto saxophonist Logan Richardson, with whom I had never played before, but am hoping I will play with again soon. Richardson reminds me of alto players like Myron Waldon or Jon Gordon, except he was perhaps more careful with his note choices. Actually, Greg took a 3 and a half year hiatus from playing the saxophone to minister at a mega-church in Times Square, so this is kind of a comeback for him. He also went through a spell of Carpal Tunnel Syndrome, but I believe it is better now. Considering all of that, I thought he sounded better than ever! Before the concert, Greg submitted to an interview for this baby blog, so I will post that as soon as I can transcribe it. Also last night, I caught snippets of two other performances: Peter Bernstein was playing solo guitar at Smalls for the early set (which was wonderful), and on our intermission, I ran over to the 55 Bar to hear about 10 minutes of Kevin Hayes on Fender Rhodes, Sean Smith on Bass, and Bill Stewart on drums (which was also wonderful but intimidating). When you realize how much great jazz music you can check out on any given night in the vicinity of 7th avenue and Christopher Street, then you see why New York City is, even in these difficult times, still the Jazz Capital of the World. In fact, I heard a tiny portion of the late night set at Smalls as we were heading out the door, and I was remarking that the late night band was really good; so good that in any other town they would be the featured act, and yet here they are pulling up the rear, so to speak, in the least desirable time slot of 1 AM. Such is the level of the competition in New York. I appreciate your post. I live in Montreal now, but spent the summer seeing jazz shows at those great jazz clubs in the West Village. 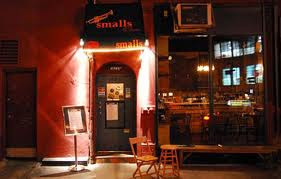 One I remember particularly fondly was at Smalls, where I saw the corky stride pianist Mike Lipskin perform for a Monday night solo act. I had never been there before: the gray cat ambling around, and the rugs hanging on the walls, were a welcome surprise. I know u have alot on ur plate and the list is long on the artists u want to cover but if you can it would be cool to give the history of Smalls who put it on the map, where the folks are that put it there and how their music has expanded (and expanded Jazz)...just a thought! love it! keep it real!
" The Worst Music I've Ever Heard!"